This beautiful black filly, born July 6, 2017, is available for purchase. Dam is HU-Vivianna, Reg # AHRA 0574190. 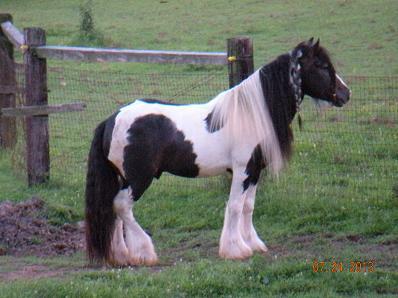 The Sire is the beautiful Reg Gypsy stallion Rosewater Cassidy Gypsy Reg # GV03743. Pictured below. PreviousNot everyone here is a dog . . .
AHRA Elegant Black Arabian mare for Sale.